GRAVEYARD SHIFT is out in Trade Paperback today! It’s Been One Year Since the Official Release of GRAVEYARD SHIFT! Denver Book Bar Science Fiction and Fantasy Reading Series. Finalist! Colorado Book Award for 2018. Michael F. Haspil is a geeky engineer and nerdy artist. A veteran of the U.S. Air Force, he had the opportunities to serve as an ICBM crew commander and as a launch director at Cape Canaveral. The art of storytelling called to him from a young age and he has plied his craft over many years and through diverse media. He has written original stories for as long as he can remember and has dabbled in many genres. However, Science Fiction, Fantasy, and Horror have whispered directly to his soul. When he isn’t writing, you can find him sharing stories with his role-playing group, cosplaying, computer gaming, or collecting and creating replica movie props. 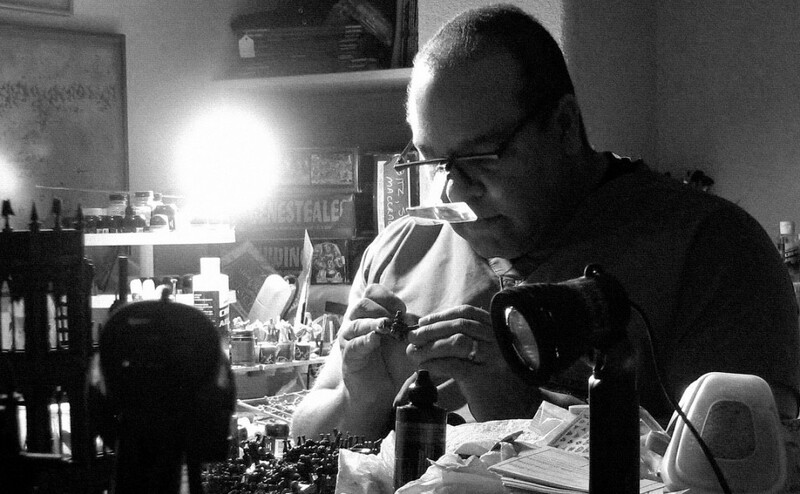 Lately, he devotes the bulk of his hobby time to assembling and painting miniatures for his tabletop wargaming addiction. TOR published Michael’s debut novel, GRAVEYARD SHIFT, an urban fantasy story featuring an immortal pharaoh battling an ancient vampire conspiracy, in 2017. It was well-received and was a finalist for the Colorado Book of the Year. Michael is represented by Sara Megibow of the KT Literary Agency. He has collected and made replica movie props for over twenty years and enjoys the way a particular collectible lets an individual connect with a meaningful story. Michael’s new podcast “Quantum Froth Dispatches” focuses on geek culture, writing, and storytelling. He spends entirely too much time gaming or thinking (some might say ‘scheming’) about strategies and tactics in all kinds of gaming be it board games, computer games, or his passion, tabletop wargaming. He devotes the largest share of the gaming pie to Games Workshop’s Warhammer 40,000 tabletop game. He has collected and played Grey Knights, Space Marines, Tyranids, Dark Eldar, Necrons, and Space Wolves. Michael is a regular contributor to “The Long War” a premiere podcast and webcast dedicated to tabletop gaming, but especially to Warhammer 40,000.